Kalymnos: The home of the world’s finest sponge divers! Kalymnos is a beautiful traditional island situated between Kos and Leros, and is the fourth largest island in the Dodecanese. Also, it is best known as home of the world’s finest sponge divers. The influence of the Italians on the island is evident in its architecture, as are the influences from the medieval era. 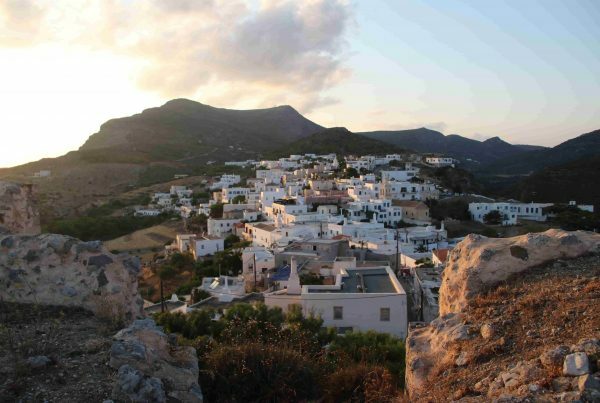 Telendos and Pserimos islets surround Kalymnos and are also a beautiful destination to explore. In Kalymnos there many facilities for accomodation, such as hotels or rooms to let, which can meet the demands of all the visitors of the island. A car and a map is all you need in Kalymnos! Kalymnos is a destination with many beautiful places to visit and explore. Almost all the destinations are easily accessible by car, by bus or by taxi. 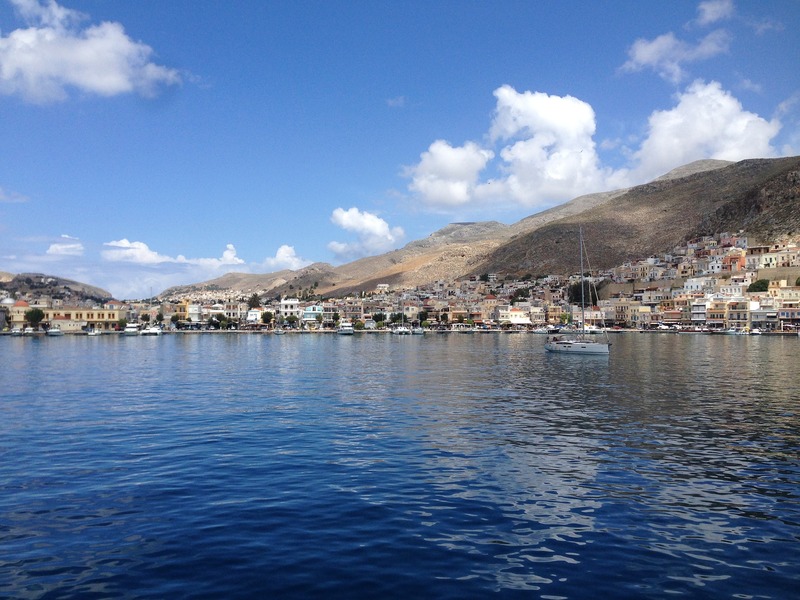 The bus service on Kalymnos connects only the port with the main village communities, so you need to know schedule times in advance. A taxi is a good choice, but a little bit expensive for many movements, so maybe the better idea is to rent a car if you are not visit the island with your car. So, you only need a map and go! Telendos islet: A small paradise next to Kalymnos! Telendos, this small picturesque islet is located only a few hundred metres from the west coast of Kalymnos. It’s connected to Myrties by a small boat service running every 20 or so minutes in the summer, and maybe twice a day in the winter. 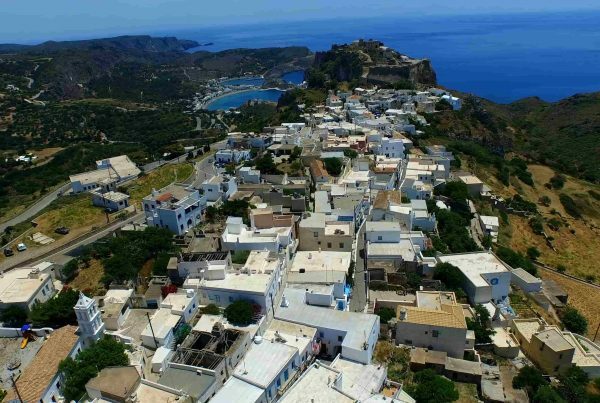 The island of Telendos is a small paradise, as it has got very few inhabitants and it does not have any roads, so you can enjoy the calm and the fresh air of the atmosphere. There are also, traditional taverns, where you can enjoy tasty Greek food. Moreover, there are only a few rooms to let, so if you decide to stay at Telendos, you should make your reservation earlier.